Janine Remillard is an associate professor of mathematics education at the University of Pennsylvania’s Graduate School of Education. Her research interests include teachers’ interactions with mathematics curriculum materials, mathematics teacher learning in urban classrooms, and locally relevant mathematics instruction. She is one of the primary faculty in Penn GSE’s urban teacher education program and is co-editor of the volume, Mathematics Teachers at Work: Connecting Curriculum Materials and Classroom Instruction. Since receiving an early career research grant in 1999 from the National Science Foundation (NSF) to support her project "Learning to Teach Mathematics in Urban Classrooms,” Remillard has received continuous funding from the NSF, undertaking research and development projects on teacher learning, curriculum use, and formative assessment. Remillard is active in the mathematics education community in the U.S. and internationally. 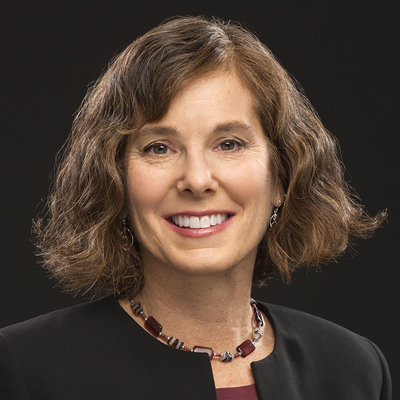 She is past-chair of the U.S. National Commission on Mathematics Instruction, a commission of the National Academy of Science, and has served two terms on the board of the AERA SIG-Research in Mathematics Education. She is also involved in international comparative research on mathematics curriculum, currently collaborating with researchers from Belgium and Sweden. She regularly participates in cross-national exchanges on teaching and teacher education, most recently with educators from China and South Korea.